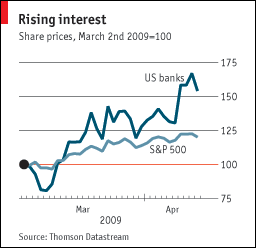 I looked last week at the steep rises in US and UK bank share prices as the fear factor has fallen back. U.S. banks are up 50% over the month, for instance. But in the case of certain UK banks, the reversal has been even more extreme. Consider Barclays shares here in the UK. When I first wrote about the emotions driving bank share prices back in January, Barclays shares were priced at 90p. Yet I trusted HSBC and Standard Chartered more as banks to see out the turmoil, as they seemed far less likely to have got into serious difficulties. In terms of the subsequent share performance, it hasn’t been my greatest short-term call. Barclays shares fell back to 60p for a while, but they’ve since risen to over £2 a share. The HSBC and Standard Chartered shares I bought also fell steeply – especially after both surprised with rights issues, though thankfully well-handled ones that have left the banks with more firepower and not too badly hurt the share prices. 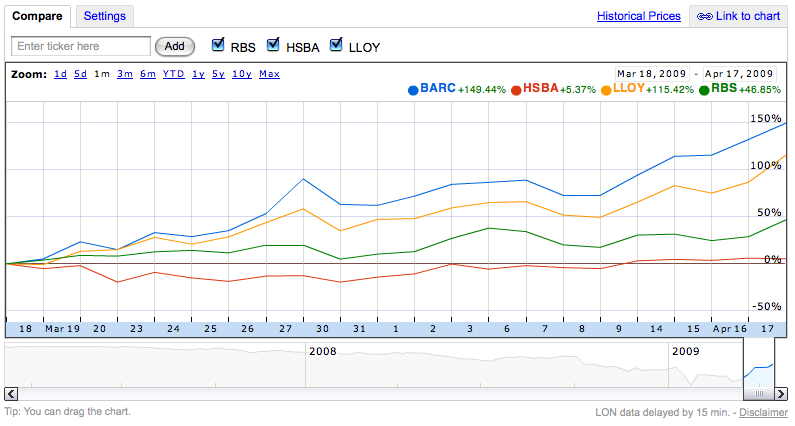 But while my bank shares have also risen from their lows, they haven’t more than tripled like Barclays. The Barclays case has shown the most extreme turns from fear and greed so far of the UK bank shares. A few weeks ago, the fear was Barclays would flunk the UK Financial Service Authority’s stress test, and that it would have to borrow government money like Lloyds and RBS, leaving shareholders facing a massive dilution in their process. Passing the FSA stress test not only made Barclays at a stroke a better bank to own, since it would stay free of government interference. It also gave investors a ton of confidence about its assets, as the FSA has just been over Barclays’ books with a fine comb / bomb detector. Barclays has since sold its iShares business for $4.4 billion (albeit a bargain price compared to some expectations), further shoring up its balance sheet. It even loaned the purchaser, CVC, the money to do the deal! Meanwhile fixed income trading has been very unusually strong over the past quarter as we discussed on Friday. Barclays bought Lehman Brothers’ cheap, and now has a huge advantage in fixed income, which will be boosting its bottom line even as I type. If only. 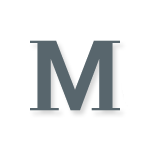 Two of the most frustrating words in the investors’ dictionary. Should I buy Barclays shares now? I predicted bank shares would recover quickly whenever fear abated, due to assets being revalued upwards, but this actually hasn’t happened yet, and I can’t claim I foresaw Barclays shooting up so fast. If I had, I’d own Barclays instead of HSBC! I also didn’t have a strong feeling as to whether Barclays would pass the FSA stress test. And I’d be lying if I said I realized the huge inflow of cash that the more swashbuckling banks would be realizing from the unusual trading opportunities of recent times. When I wrote Friday’s post, Barclays was priced at 220p. That’s also what you see in the graph above (I ran out of time on Friday, so moved the second half of that post until today). The US’s largest bank set aside $13.4bn (£9.2bn) to cover credit losses, from the fourth quarter’s $8.5bn. Its shares sank 20% by mid-afternoon, and dragged other banking stocks lower. This was despite net income soaring to $4.2bn in the first three months of 2009 from $1.2bn a year earlier, beating analysts expectations. [Bank of America’s] results were inflated by its purchases of Merrill Lynch, which added $3.7bn in net income, and Countrywide, which boosted its mortgage arm. Now I don’t know about you, but that report sounds to me exactly like the sort of news the market was taking positively before the weekend. In other words, the market was cheery then but gloomy now! It’s nothing new to see the stock market being contrary over the short-term, but to see a FTSE 100 company like Barclays moving nearly 8% in a day on no specific news is still somewhat shocking, even after the turmoil of the past year. To me this suggests bank shares are still being driven primarily by fear, whether of the banks getting into difficulties, or conversely of being investors fearing they’ll be left saying “If only” on the sidelines and piling in too fast. As such, I won’t be investing in Barclays at over £2 any time soon. I can’t see any edge for me as a private investor in buying the shares. Barclays is not paying a dividend, and more bad news on loans looks likely in the next quarter due to the recession, which may see the shares shunned once more. 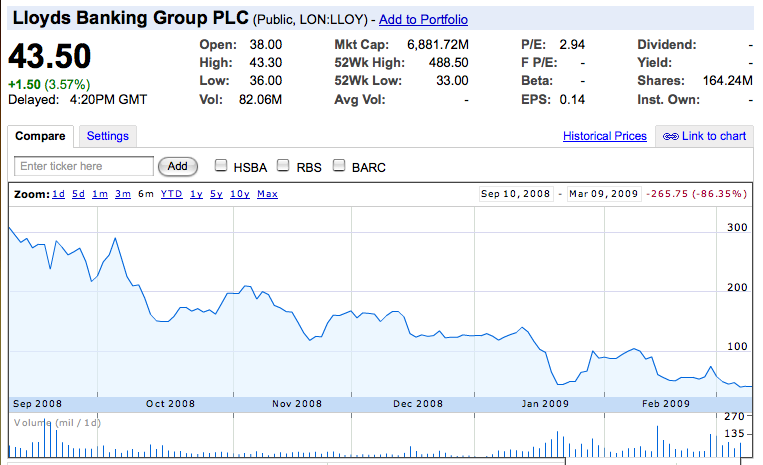 That’s not to say people won’t make a mint buying Barclays shares. You can guarantee the share price will recover well before the recession ends, and those who’ve bought well will look pretty smug. According to some estimates, Barclays net assets per share could be £5 or more. The earnings are frankly anyone’s guess – due to new business entering stage right as others leave stage left – but most of the company is still intact. iShares may be gone, but Lehman Brothers’ trading should prove lucrative long-term. As quoted above, Bank of America says the integration of Merrill Lynch has delivered good results – and BoA had to take the whole of Merrill, whereas Barclays got the crown jewels of Lehman Brothers. But the key factor is Barclays has moved out of the ‘dodgy’ zone, to join HSBC and Standard Chartered on higher, safer ground. And it seems to me that the market has moved very quickly to factor in this change of status. Too fast for me to invest, in fact, unless another bout of panic strikes. Is it to late to buy barclays shares? Hi Sheena. What, now? Hmm, I haven’t looked at them closely for a while. We certainly seem to be in the ‘consolidation phase’ for UK banks, as analysts like to say. Which is shorthand for anything could happen! One thing with Barclays is that any move to split the banks or to hive off investment banking will hit it much harder than say Lloyds or even HSBC. But that doesn’t mean it wouldn’t be profitable (In bouyant markets, you could imagine Barclays Capital attracting quite a premium). Hi, I bought Barclays at £3.58. I do believe it’s a £5.00 pound share – however it has dropped to £3.00. When do you think or how long before we get to even £3.60? Mo, your guess is as good as mine when it comes to timing the rise of a share. The bank is fundamentally sound, but the market is currently worried about the investment bank division being too dominant and vulnerable to a slowdown, and also that the new CEO Bob Diamond will be too reckless or politically clumsy. Anyway, I can’t give individual advice on what people should do with a share. Personally I’d consider it more a buy than a sell at today’s £2.98, but I wouldn’t be buying for short-term gains.